The Upper West Side extends north from Columbus Circle at 59th Street up to 110th St. and is bordered by Central Park West and Riverside Park. The Upper West Side is separated from the Upper East Side by Central Park. Between 72nd and 96th Street most of the buildings are not taller than about 20 stories and they are mostly pre war buildings. The American Museum of Natural History is located on a stretch of Central Park West between 77th and 81st Streets, The museum's new Hayden Planetarium is a galactic spectacular and is well worth the invested time. From 59th Street to 72nd St. is called Lincoln Square. The area developed around Lincoln Center with many High Rise Apartment buildings. The Lincoln Center complex is home to the Metropolitan Opera and Julliard School of Music, Avery Fisher Hall, Alice Tully Hall, the New York City Ballet and the Vivian Beaumont Theater. 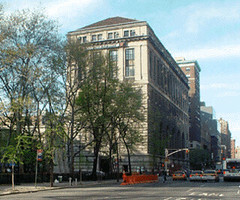 Above 96th Street is Morningside Heights the academic quarter of New York City and Home to Columbia University. It stretches irregularly to about 123rd Street between Morningside Park and Riverside Park on the Upper West Side of Manhattan. From the top of a 135-foot bluff, it overlooks the Hudson River on one side and Harlem on the other. During the last several years there was a major construction boom including The Time Warner Center that fetched $45 million the highest price in NYC history for a condo, the Shops at Columbus Circle, Trump Place, the 13 block, 16 building waterfront development along the Hudson River from 72nd Street to 59th Street, the former Gulf-Western building has been converted to the Trump International Hotel and 15 Central Park West is currently being constructed at the site of the former Mayflower hotel with apartments starting at $3 million. A construction boom in the area between Lincoln Center and the Hudson River is currently taking place. New luxury condos such as 10 West End Avenue, The Avery, The Rushmore and 200 West End Avenue are currently selling preconstruction. Prices start in the mid $700,000's. New projects are being planned in the heart of the upper west side around Verdi square, the triangular park at the 72nd Street subway. A new entrance to the subway north of 72nd St was completed in 2004 with a pedestrian plaza. The Landmark Apple Bank building has been converted to lofts currently for sale starting at $2 million. The Upper West Side has always attracted famous New Yorkers from show business and the arts. The Upper West Side is home to some extraordinary buildings. Landmarks of Art Deco, Beaux Arts, or Gothic Revival architecture, the great celebrity apartment buildings of Central Park West have many famous residents. The Upper West Side is populated with some of Manhattan's most famous and desirable residential buildings, The Dakota, El Dorado, The San Remo Apartments, The Ansonia, The Oliver Cromwell, The Langham, The Kenilworth, Hotel Des Artistes, The Beresford and The Ardsley. Riverside Drive and West End Avenue have always been considered family oriented neighborhoods, over recent years this area has become more attractive to young professionals and many condo and condop luxury high rise buildings featuring ammenities such as health clubs, pools, concierge's and garages were built in the late 80's and 90's along the Upper Broadway corridor. The post-war Condos and Condops on Broadway include: The Boulevard at 2373 Broadway at 86th Street, The Bromley - 225 West 83rd Stret, The Broadway - 2250 Broadway at 81st Street, The Alexandria - 201 West 72nd Street, The Savanah - 250 West 89th Street and The New West - 250 West 90th Street. The Columbia at the North West corner of Broadway and 96th is 33 stories and was built in 1983. The Ariel two twin luxury hise rise condo apartments are going up on opposite sides of Broadway at 99th Street. 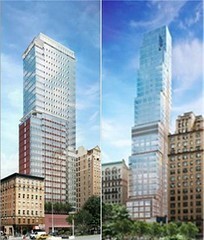 The Ariel East and West will be the tallest buildings in the neighborhood. 31 stories at Ariel west and 37 stories at Ariel East. Currently selling 2 Bedroom 2 bath apartments from $1,558,000. It is a true pleasure to walk along the Upper West Side and take advantage of the well established blocks, trendy boutiques, and restaurants. My favorites are: Fairway, Zabars, Citarella and the famous H&H Bagels all located on upper Broadway. I love running into clients in the neighborhood that love their apartments on the Upper West Side. Hope to see you on The Boulevard. To join my VIP Manhattan Buyerr Profile System and receive new property listings by email click here. What a nice neighborhood I bet good people live there lol. Did you take the photo of the boulevard? It's very pretty. Nice wrap up Mitchell, as usual, you do know your neighborhoods! Nice post, as usual your NY posts always make me want to go back for a little NY fix. 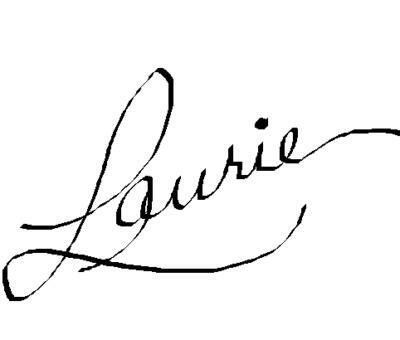 Hey Laurie, California girl...... Thanks, wish we can be bicoastal. When you need your next NY fix let me know. I'll take you to a New York lunch. I am in and out of NY sometimes a couple of times a year. Going to take you up on that and looking forward to it. I am easy, RAYS PIZZA YEAH!!!!!!! 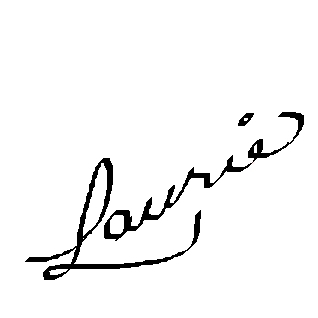 Hey Laurie, Ok... RAYS PIZZA it is!